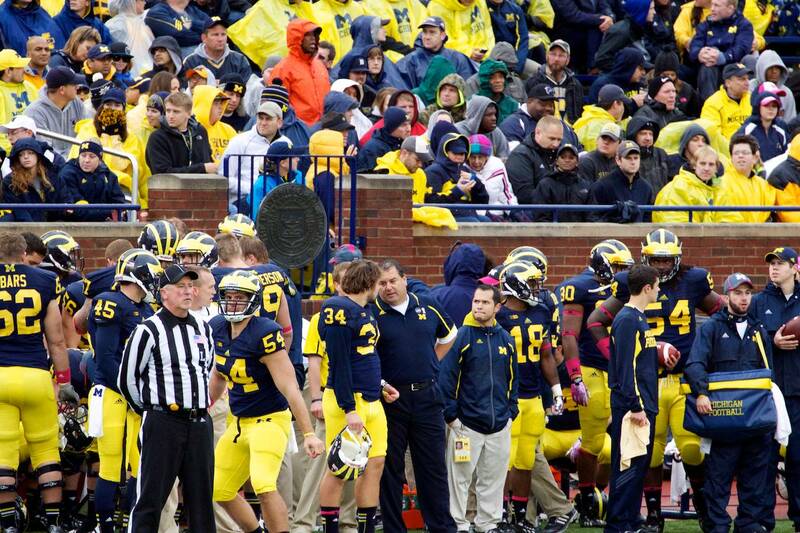 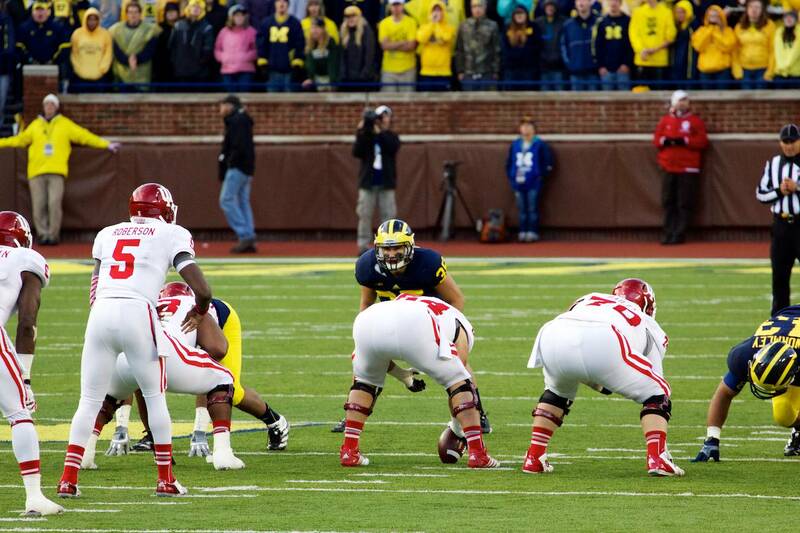 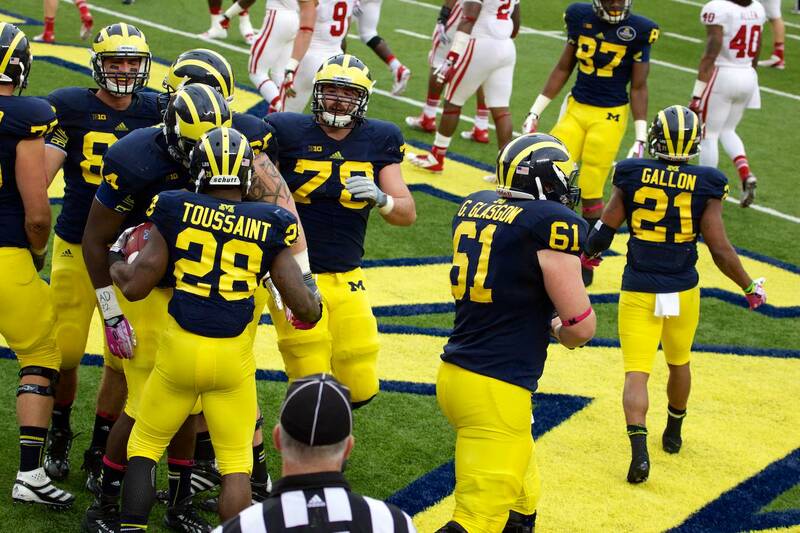 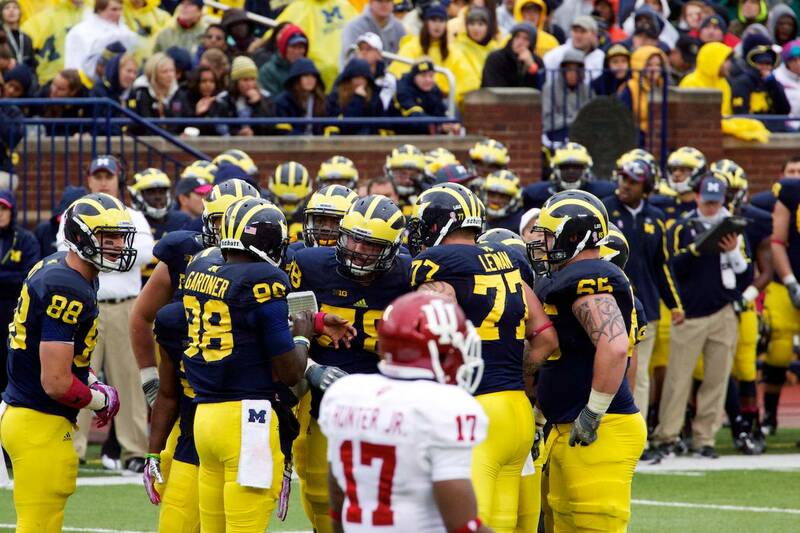 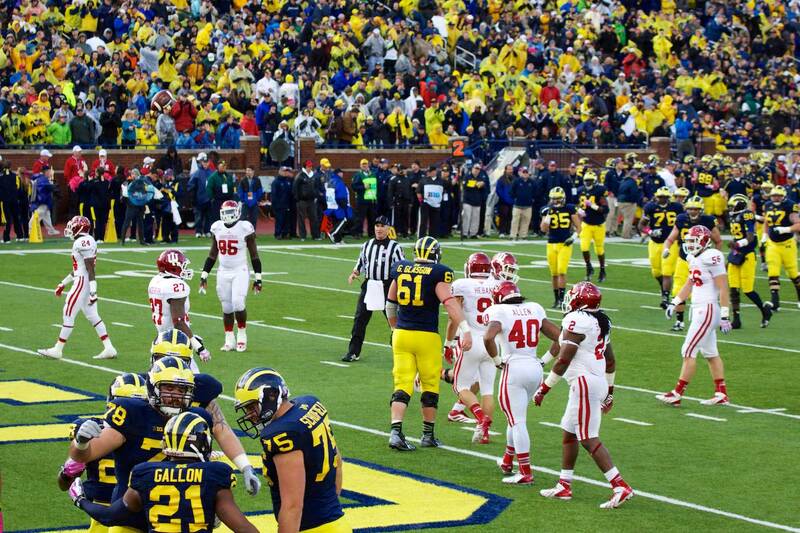 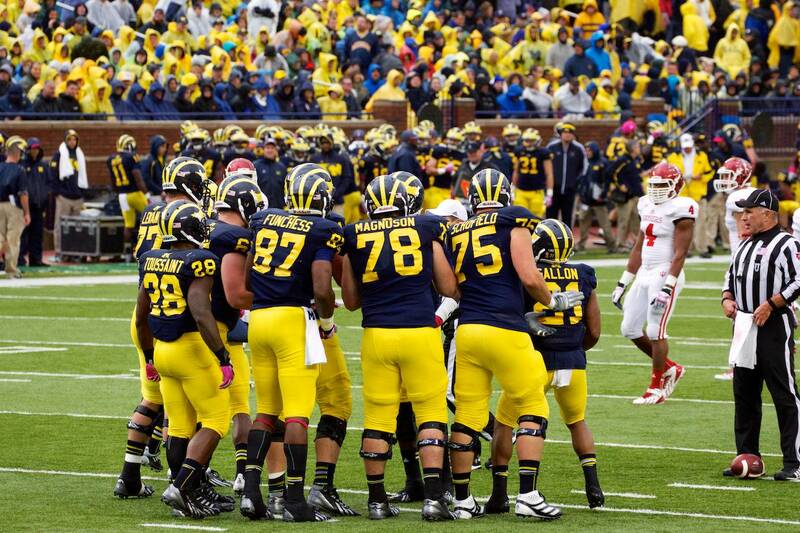 Brady Hoke talks to Brandon Gibbons after a second blocked field goal in as many weeks. 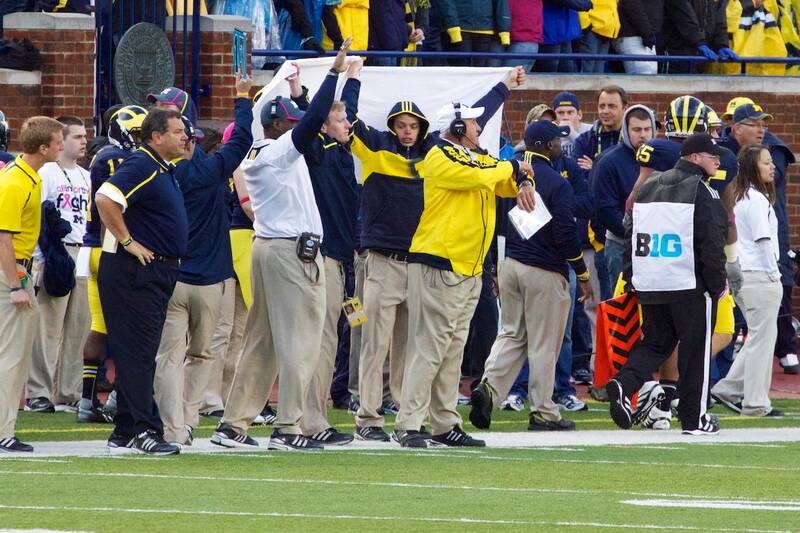 Brunettes? 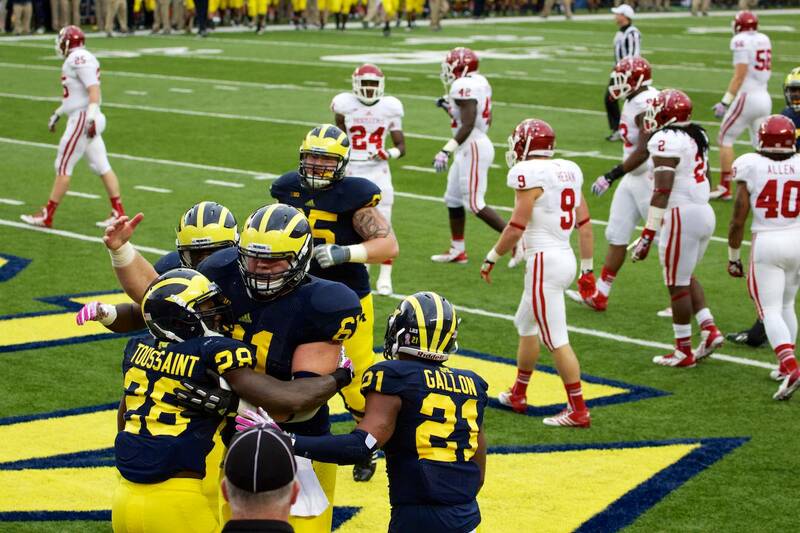 Thomas Gordon tries to get the defense fired up, and maybe to keep Indiana from scoring a touchdown in, like, 24 seconds again? 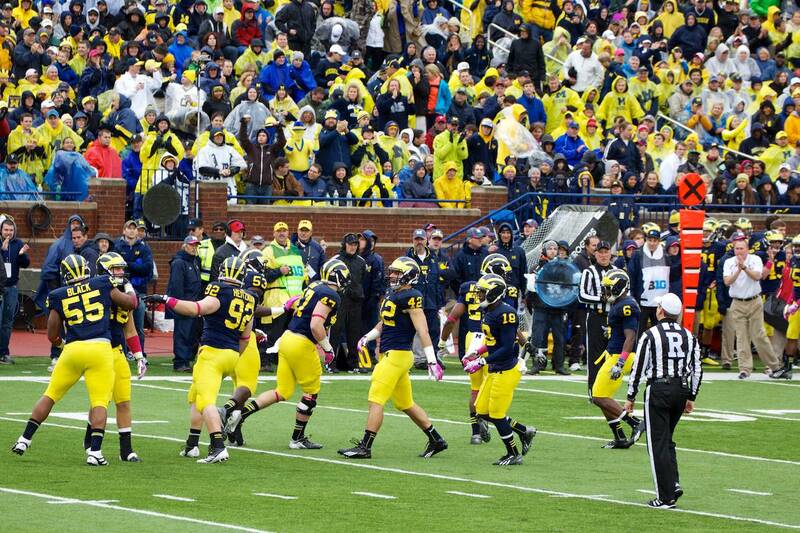 Must’ve worked, as the defense celebrates a big play. 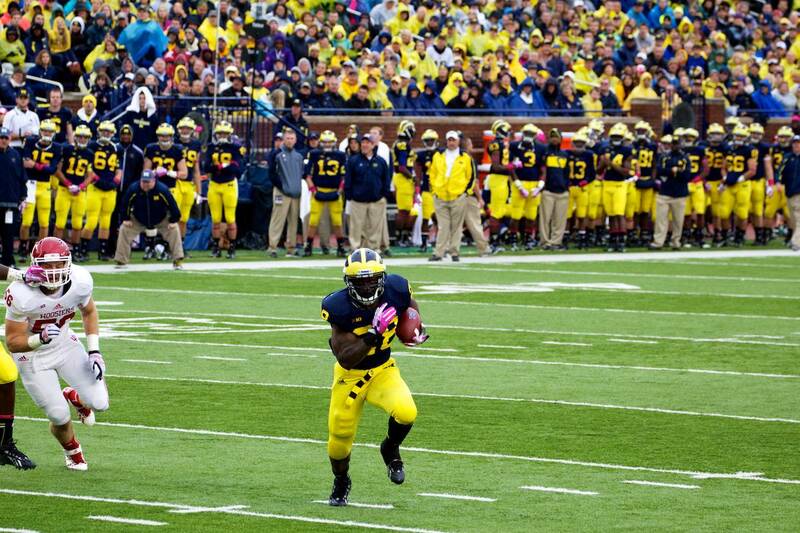 A short time later, we had Fitz Toussaint coming right at us for a touchdown! 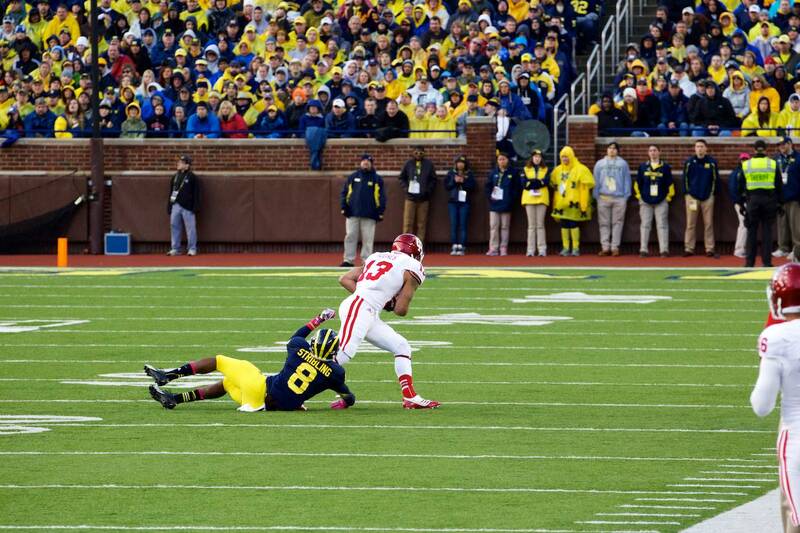 Jeremy Gallon saw us taking pictures of Fitz and thought that seemed cool, so he brought a touchdown to our corner just a few minutes later. 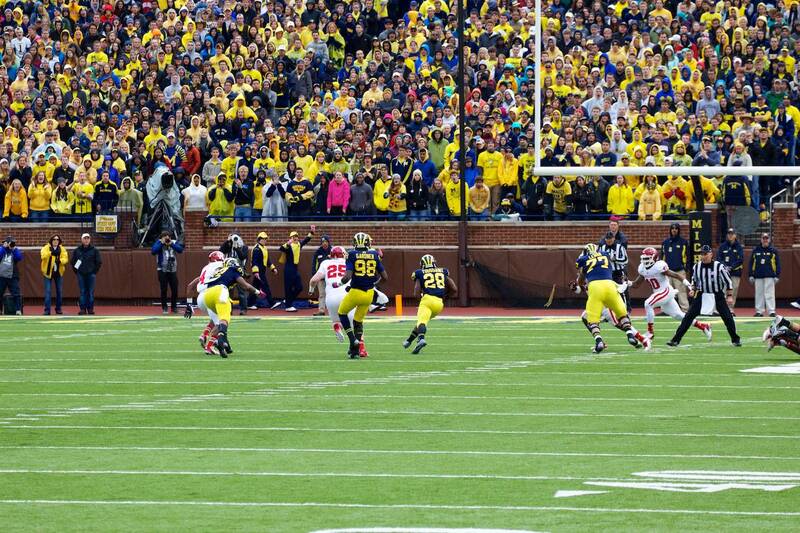 Gallon said, man that was fun, let’s do that again, but this time to the other corner of that end zone. 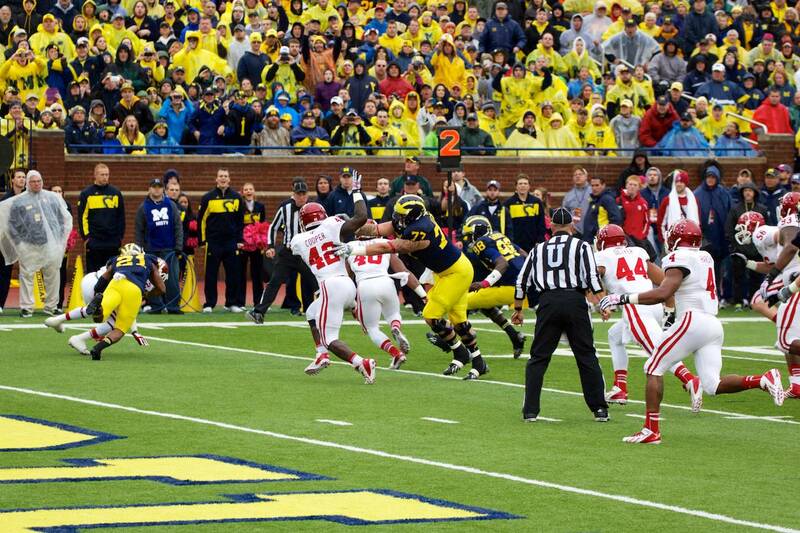 If you saw the final score, you no doubt know that Indiana did their fair share of scoring to get to 47 points. 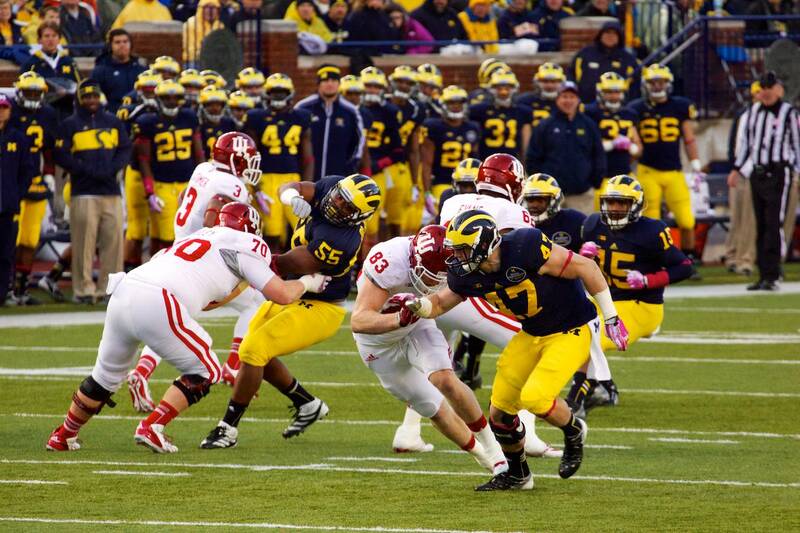 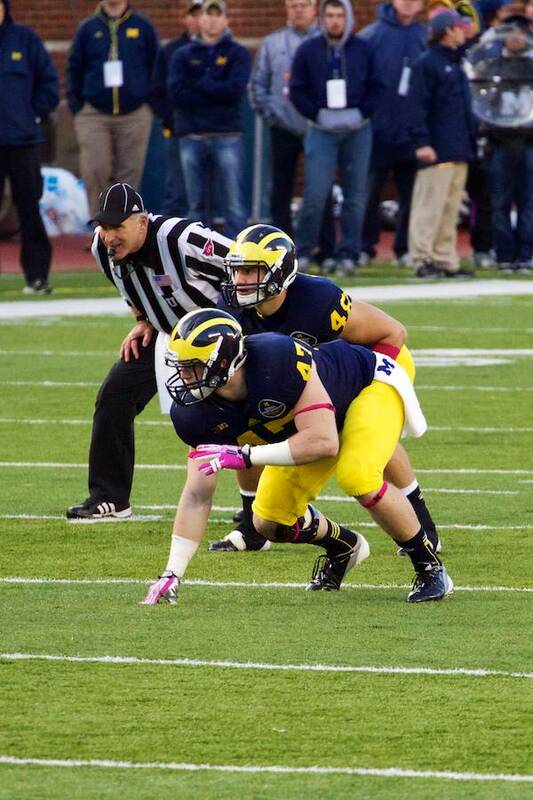 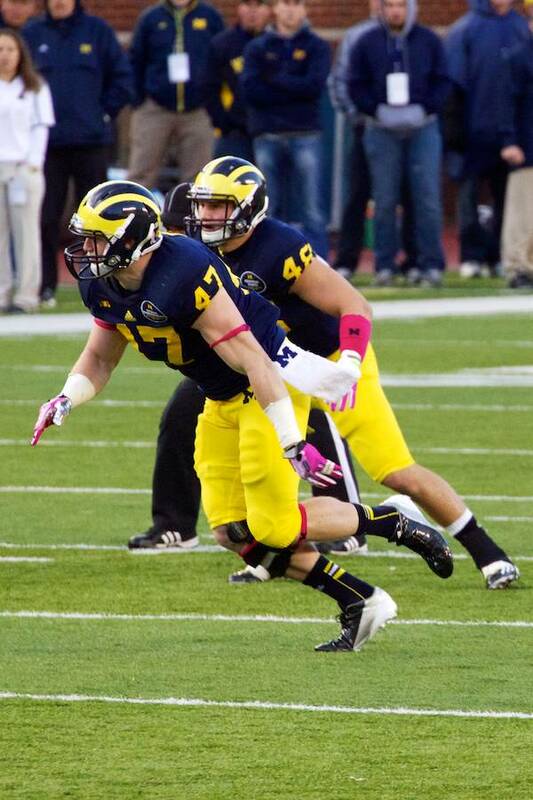 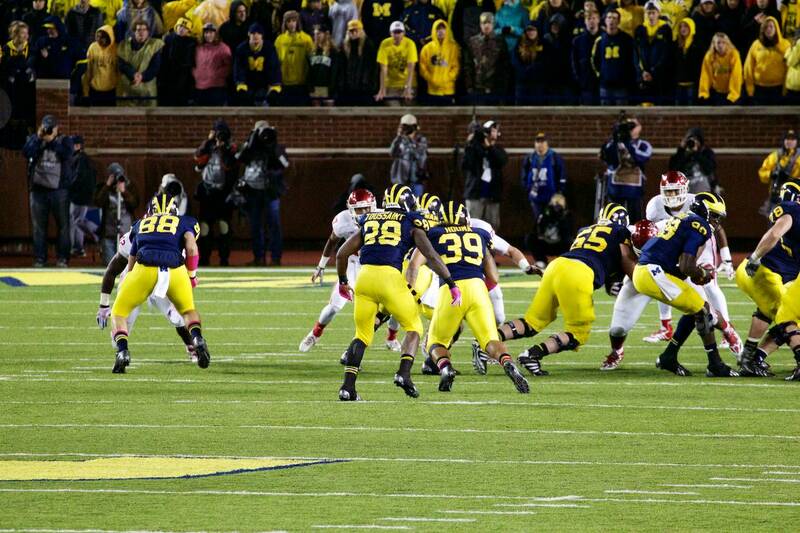 Linebackers Jake Ryan and Desmond Morgan looking good pre-play and Jake Ryan comes *this* close to sacking Roberson. 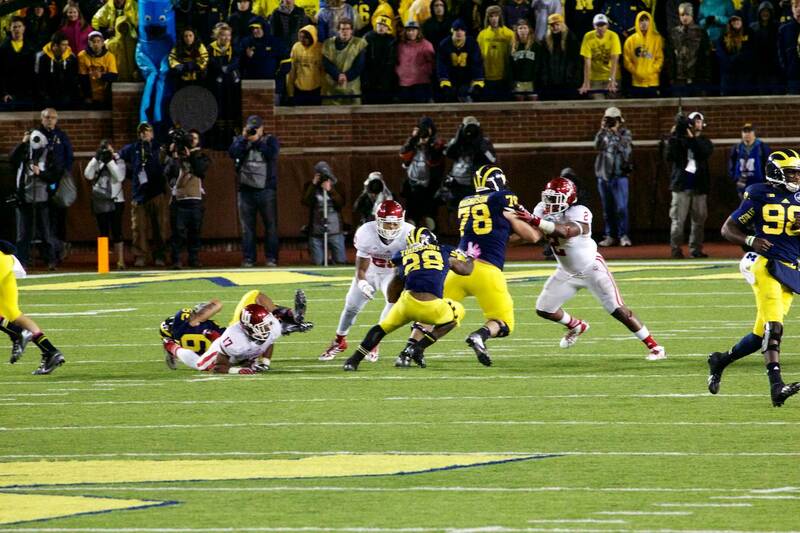 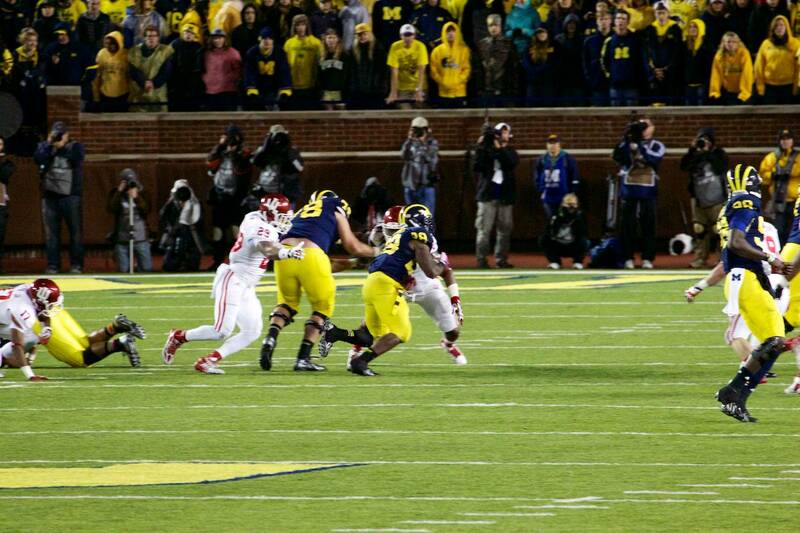 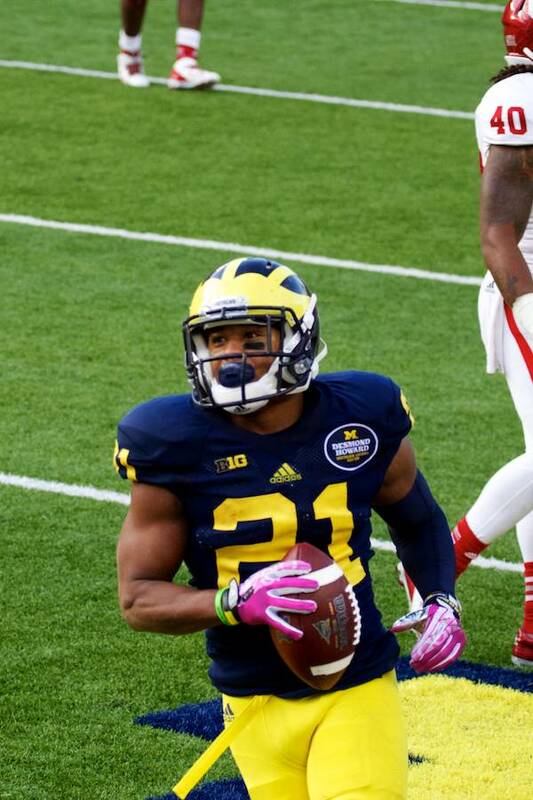 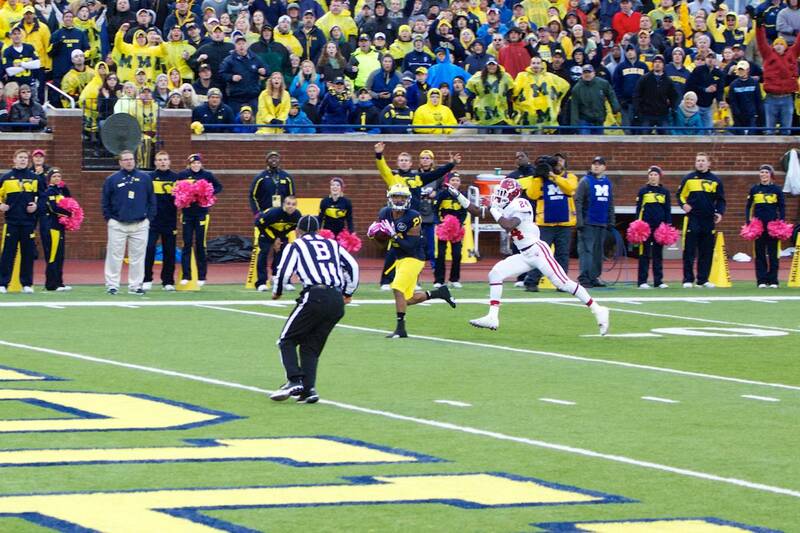 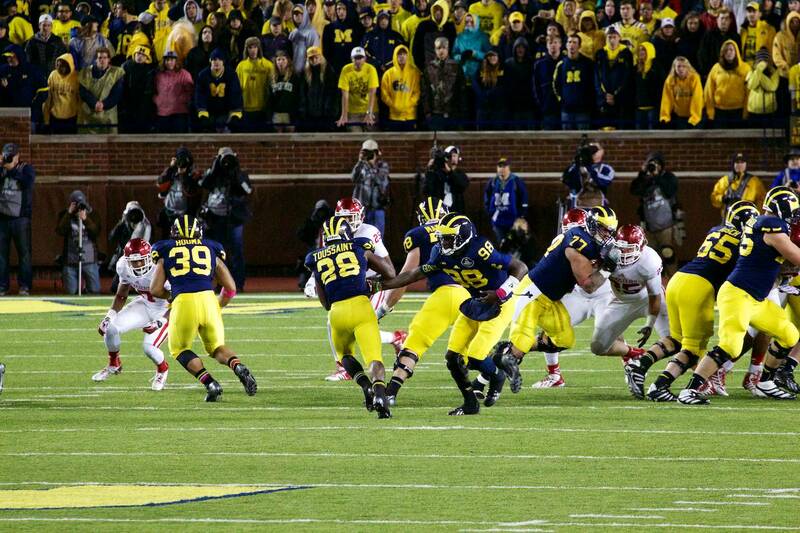 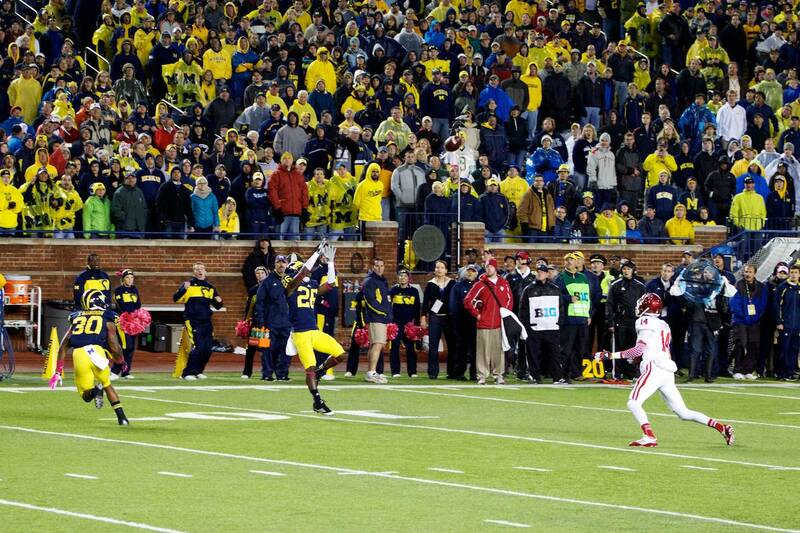 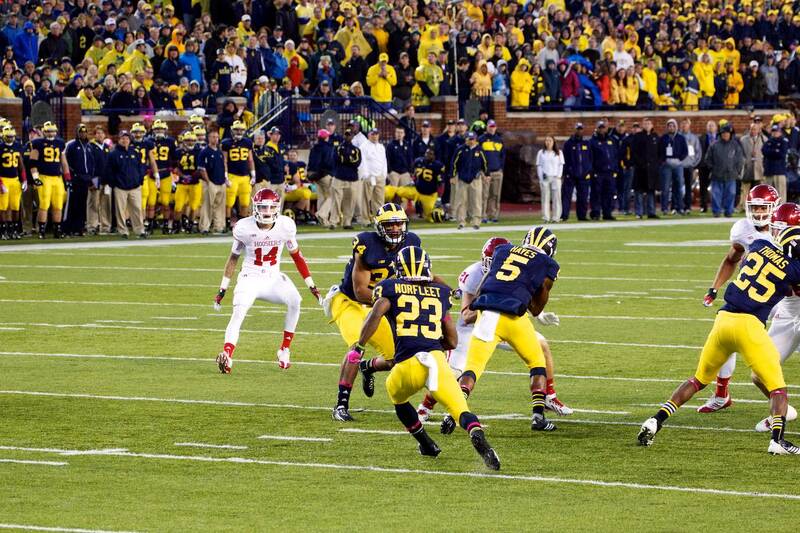 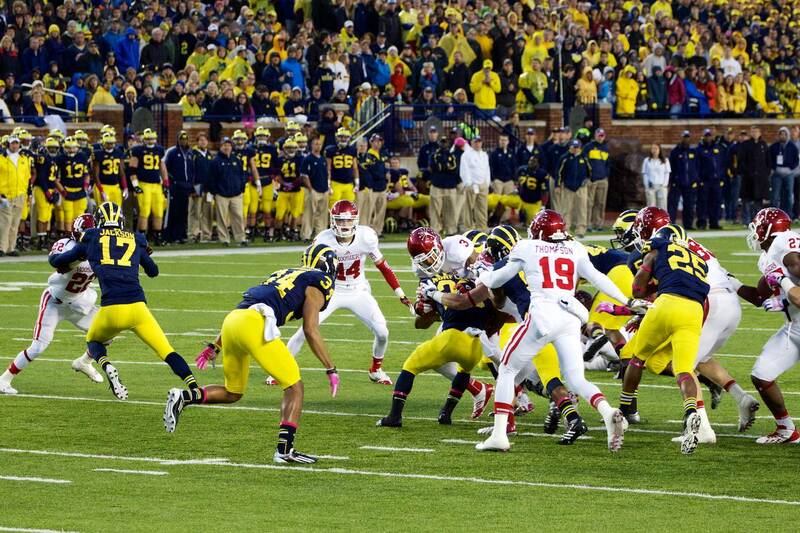 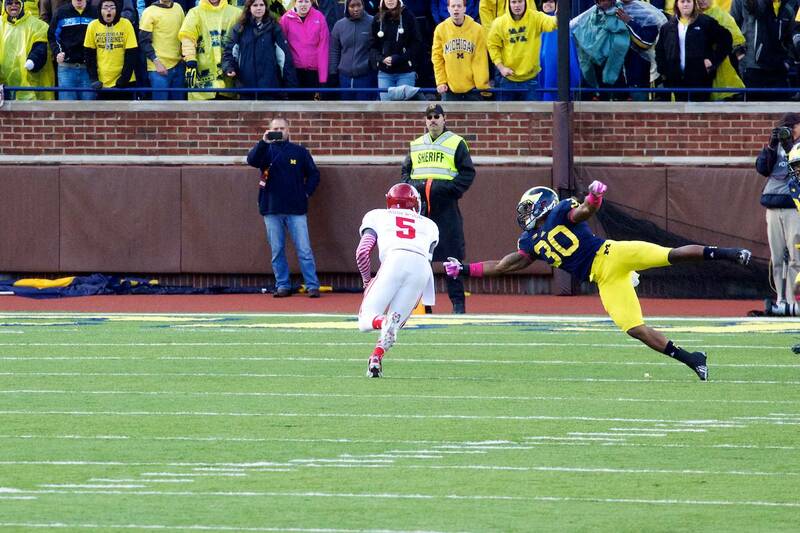 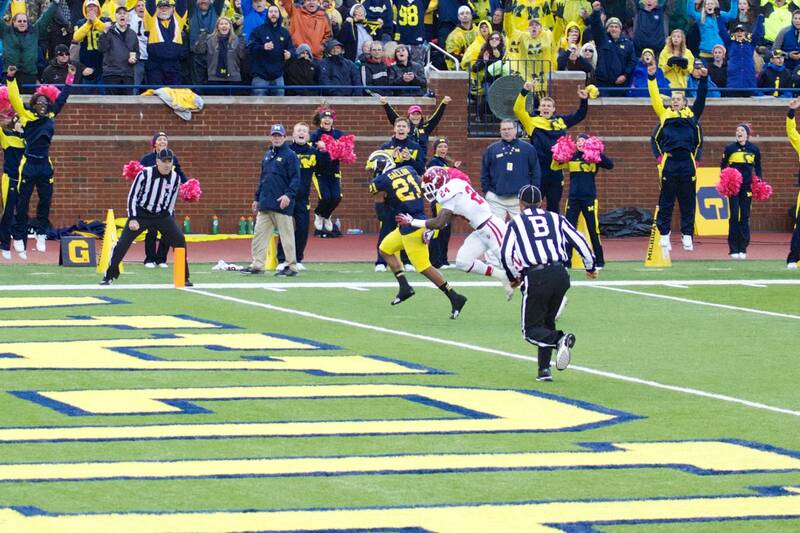 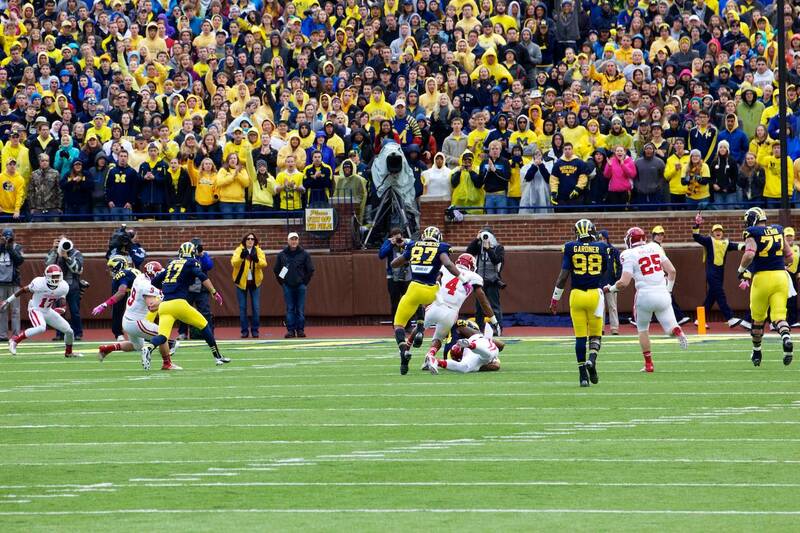 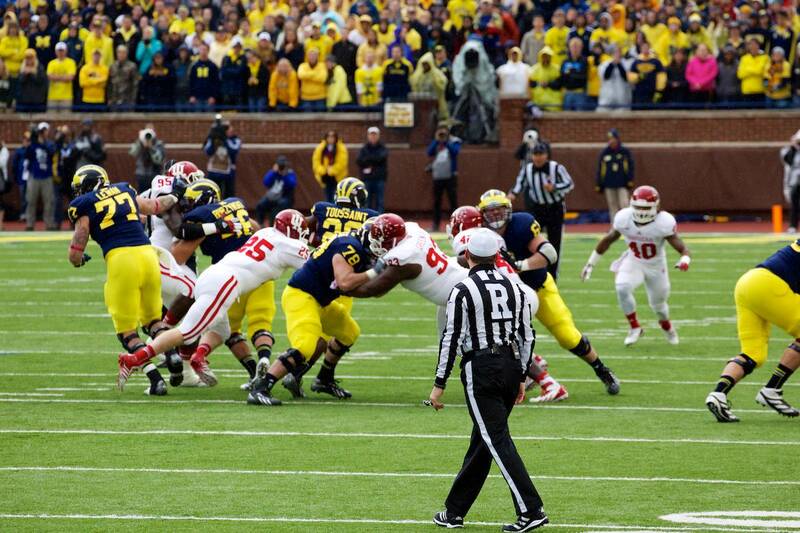 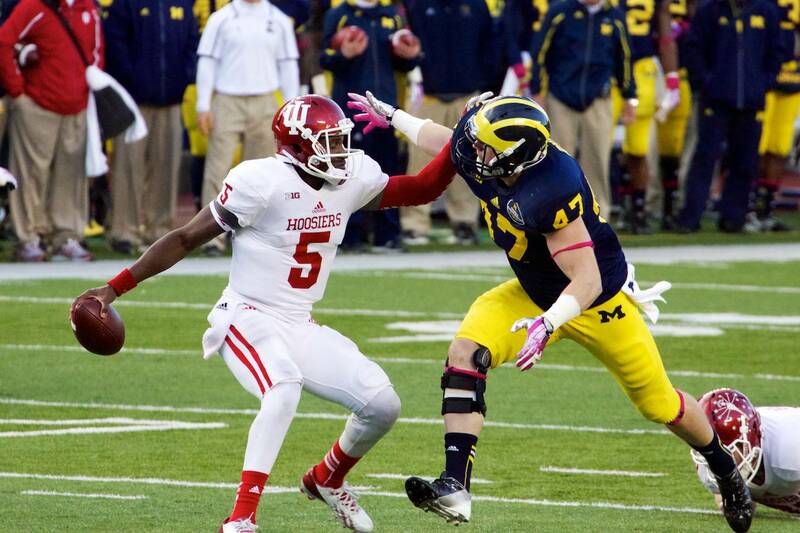 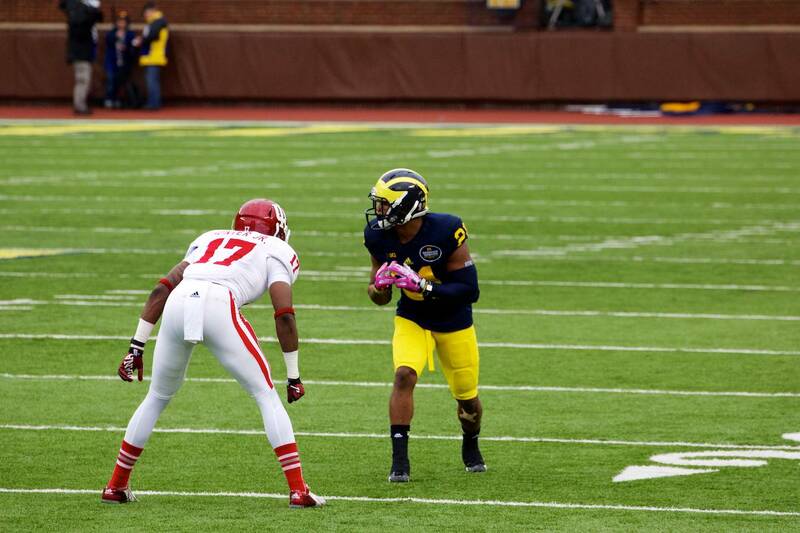 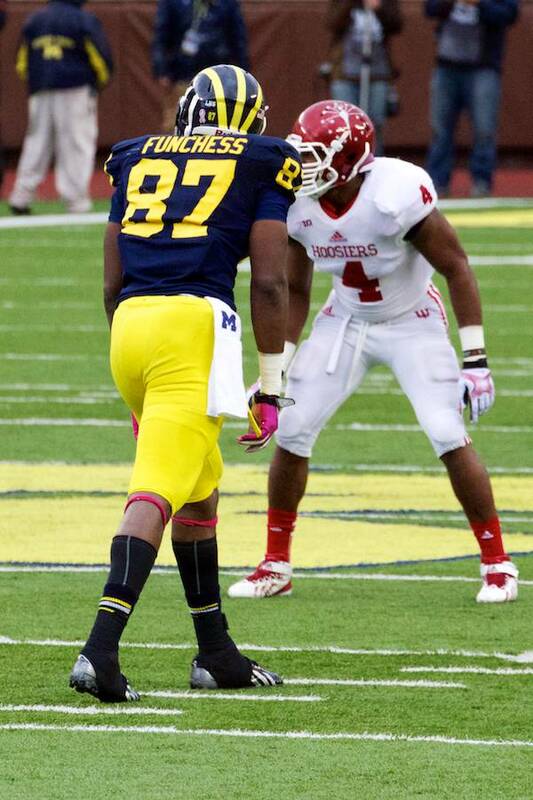 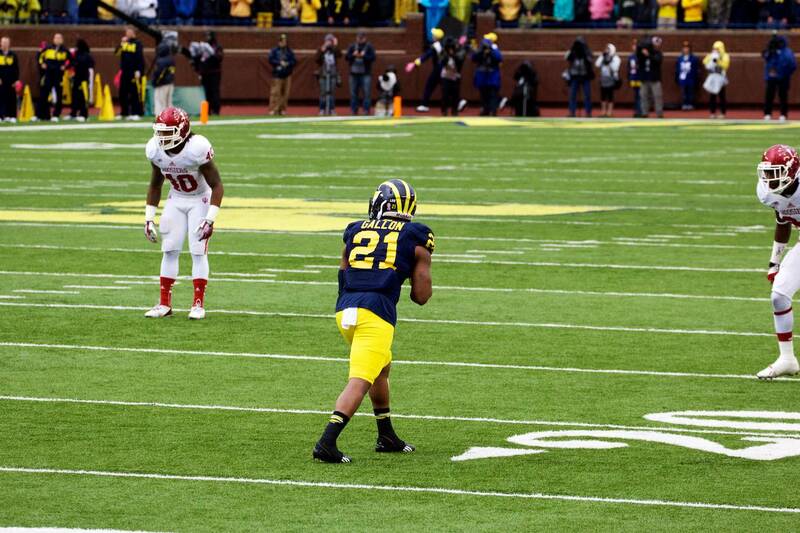 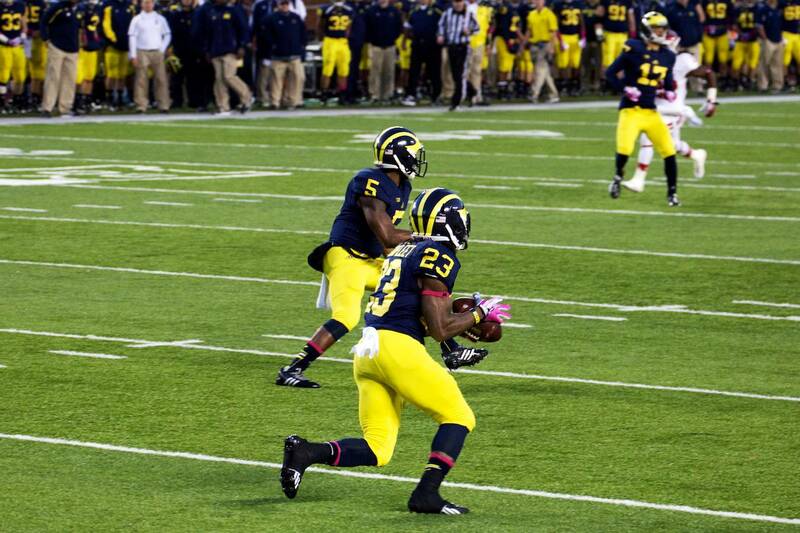 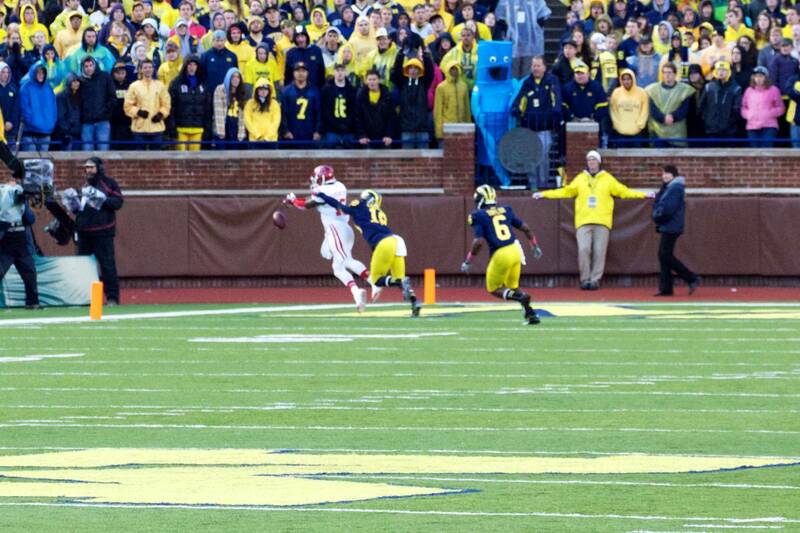 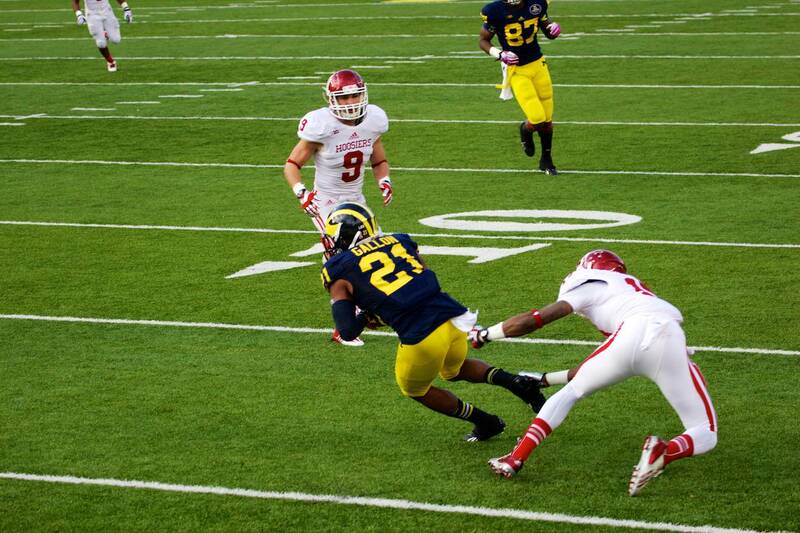 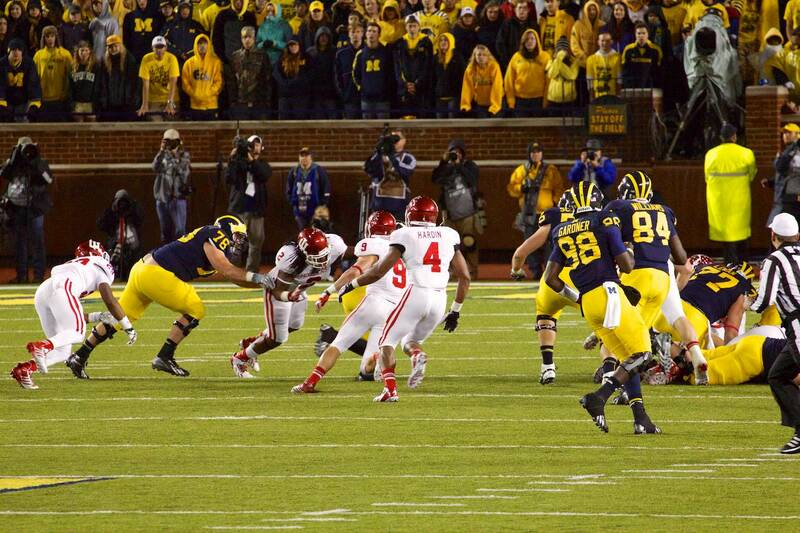 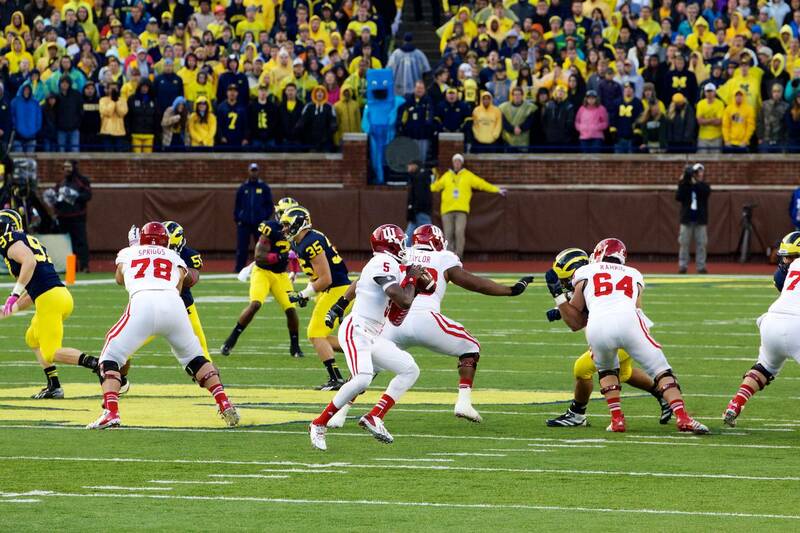 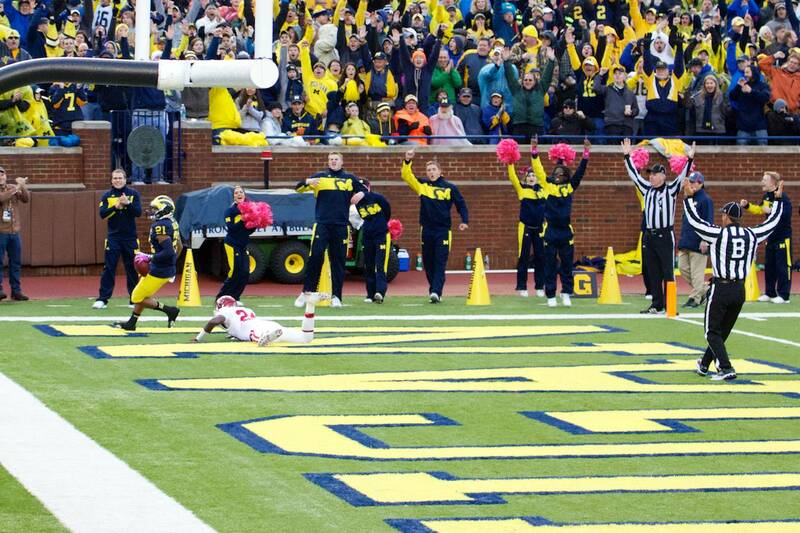 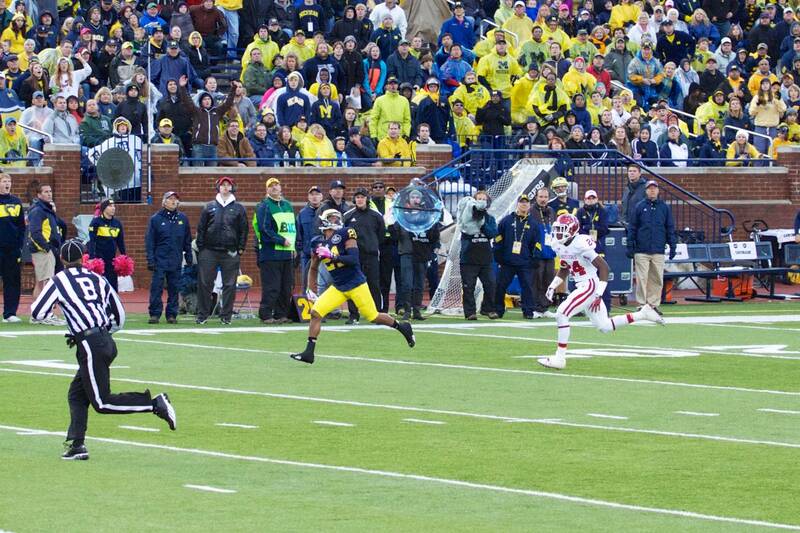 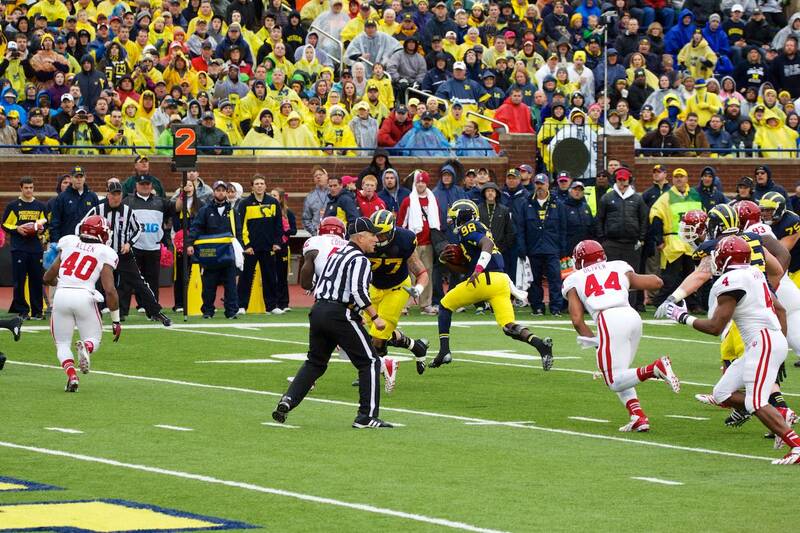 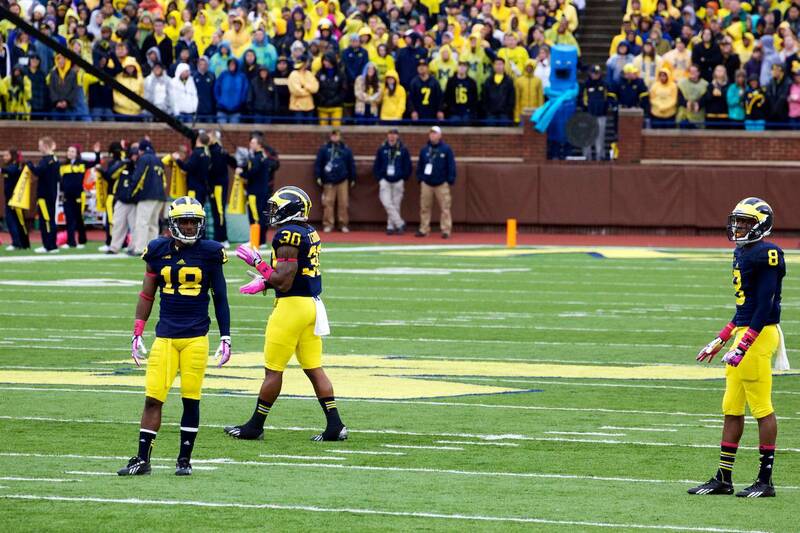 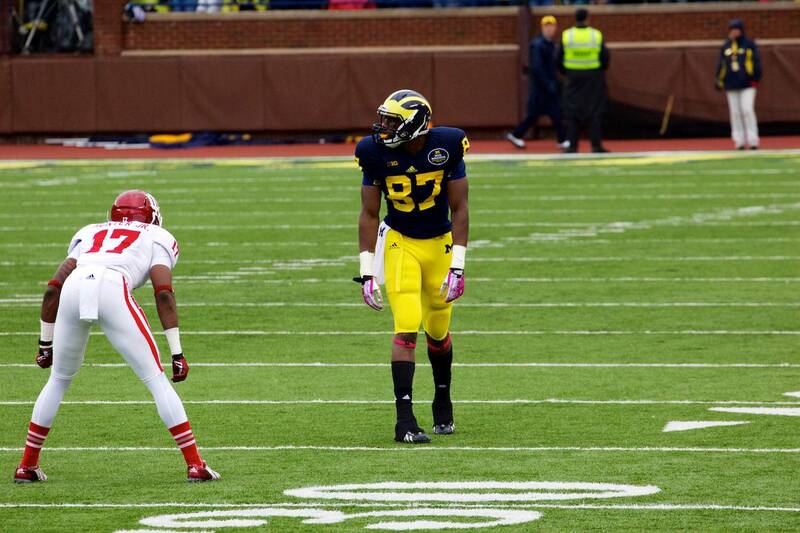 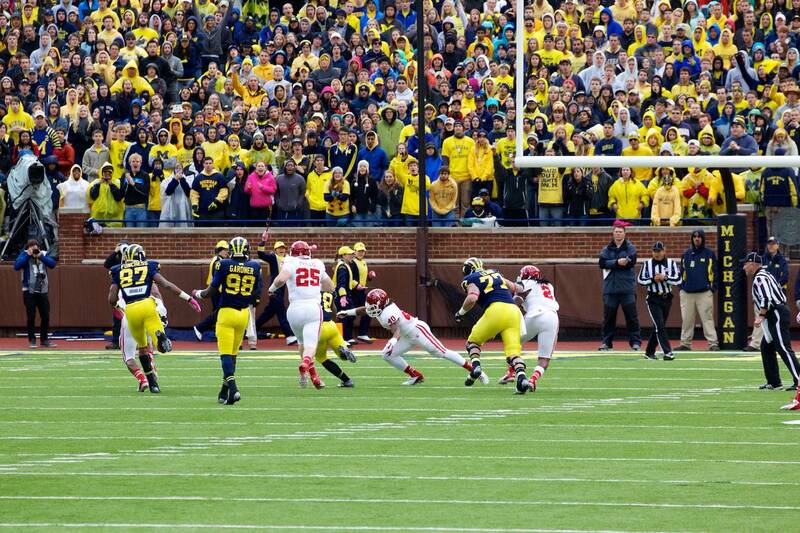 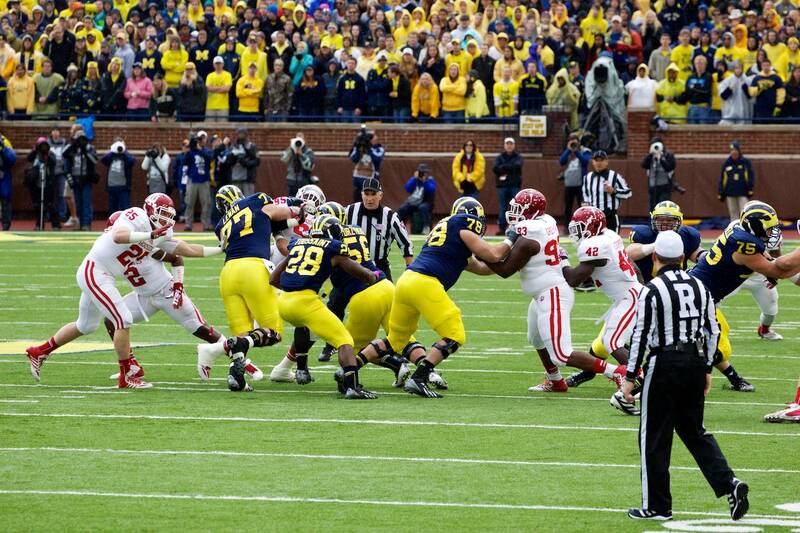 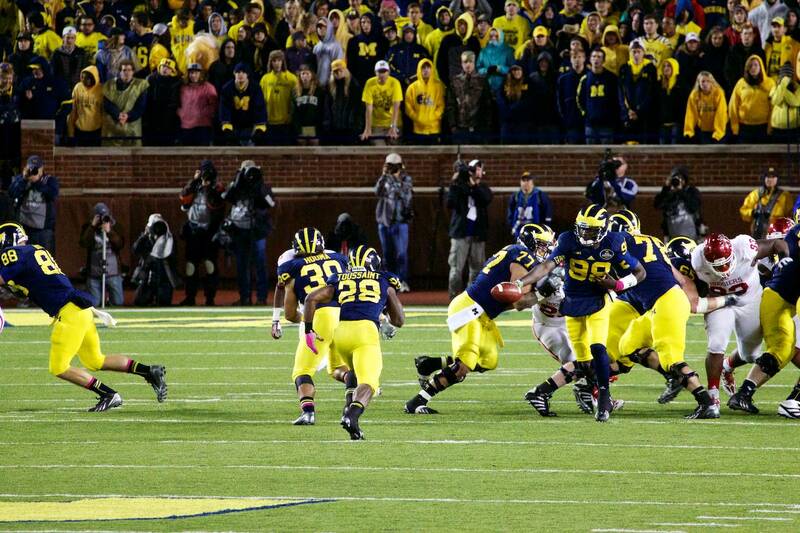 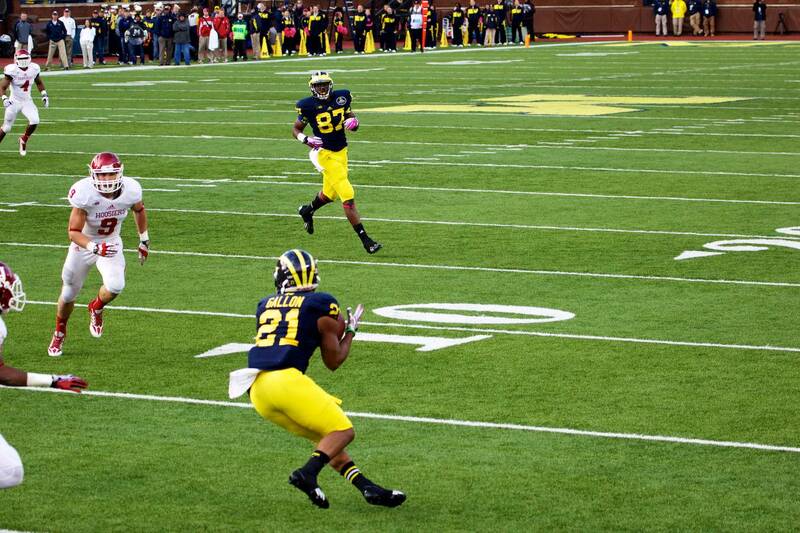 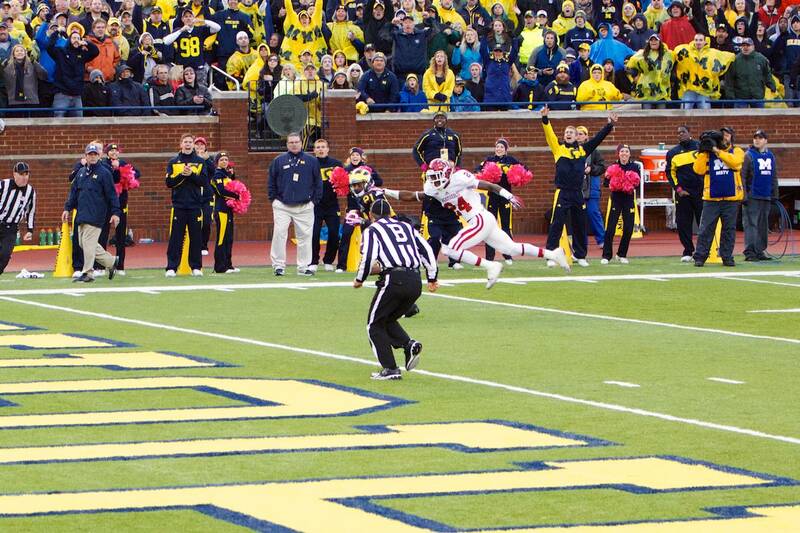 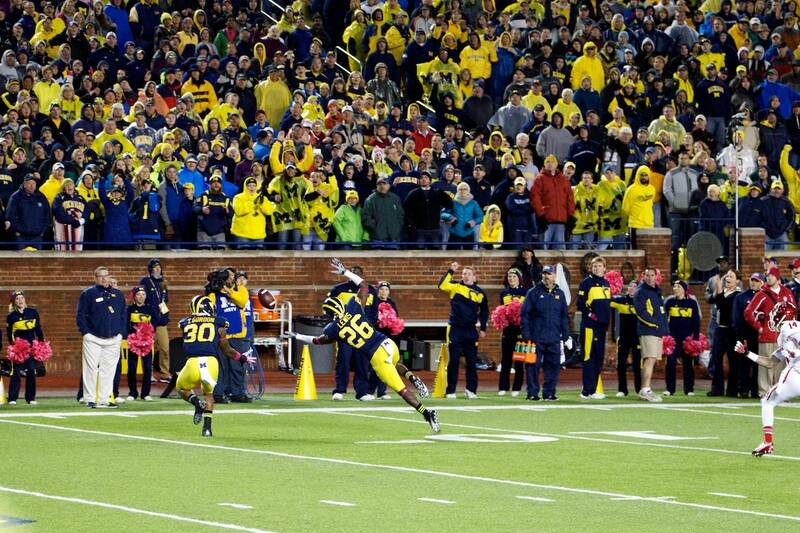 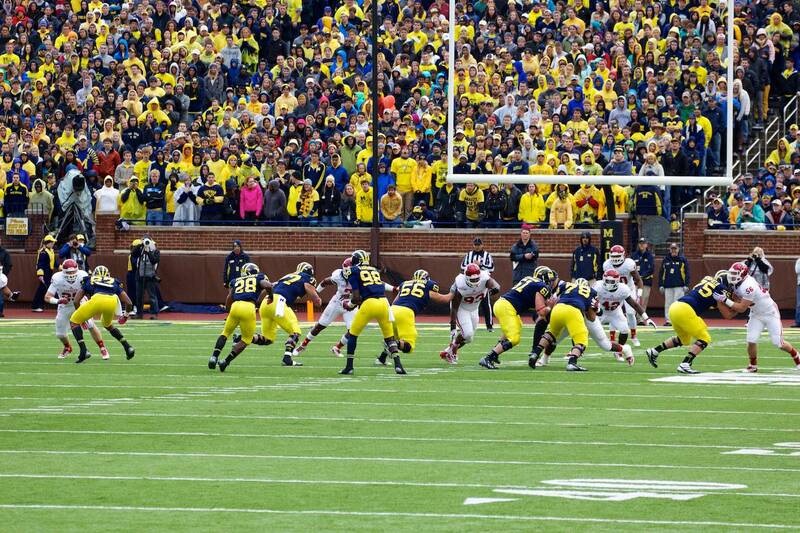 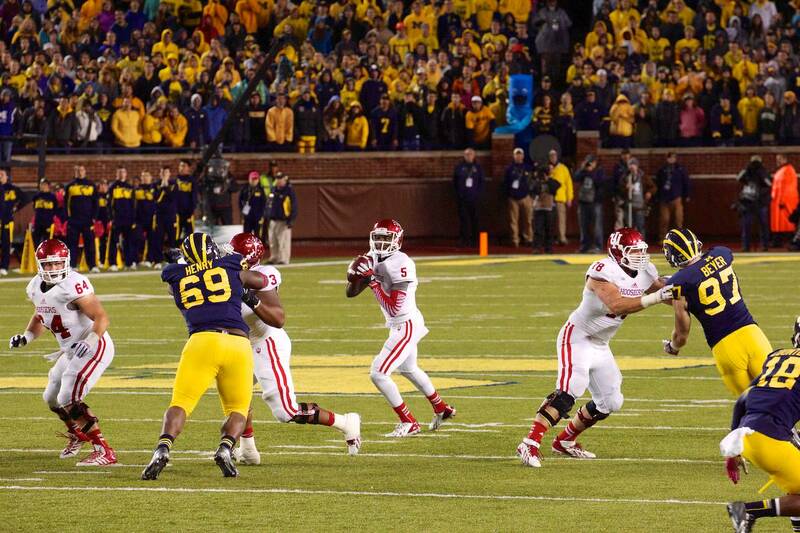 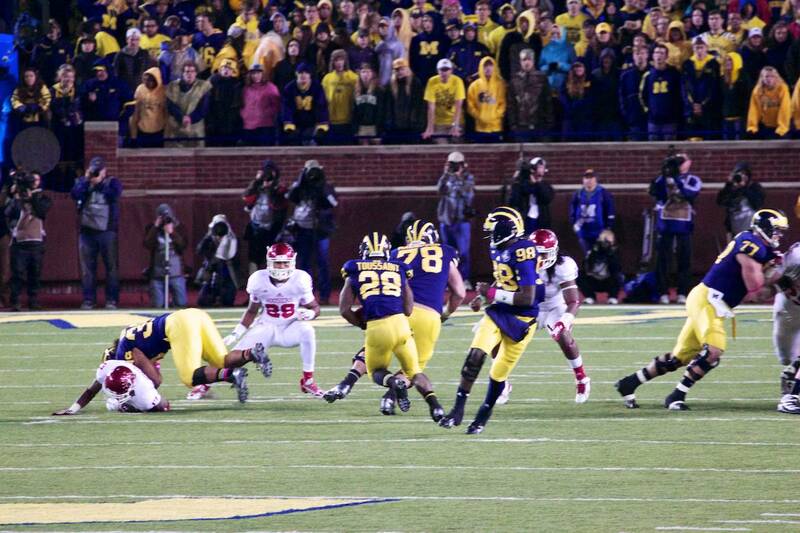 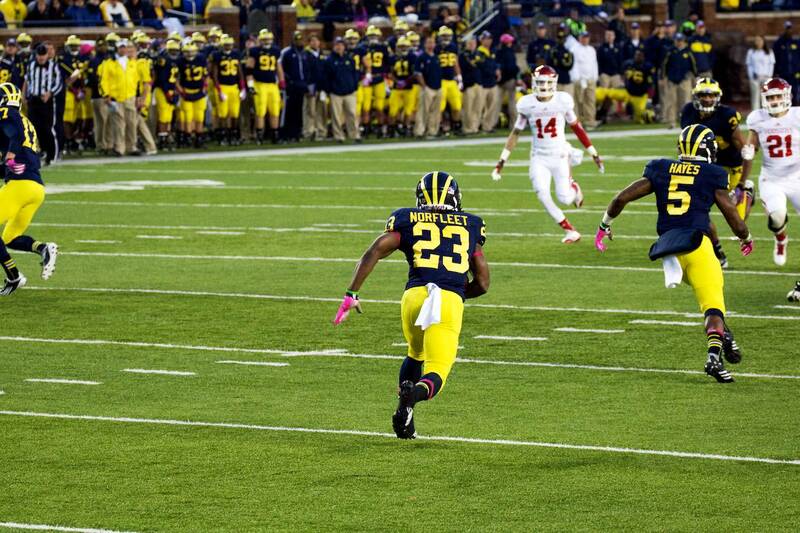 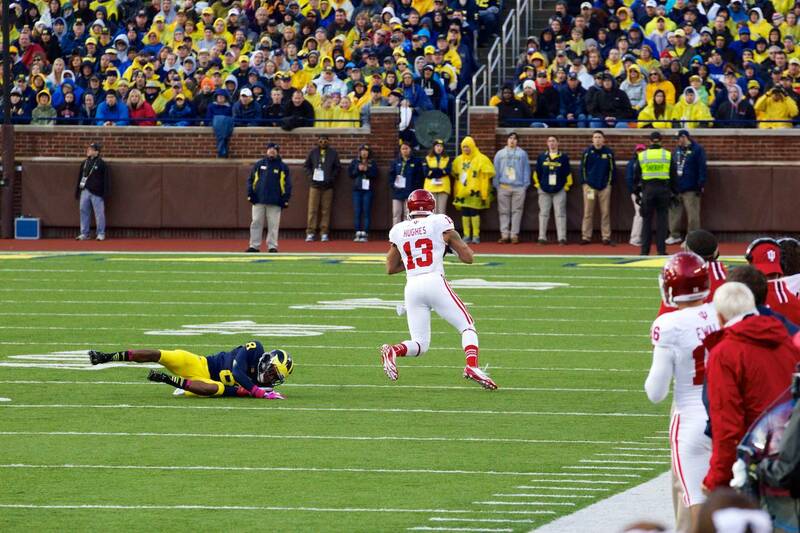 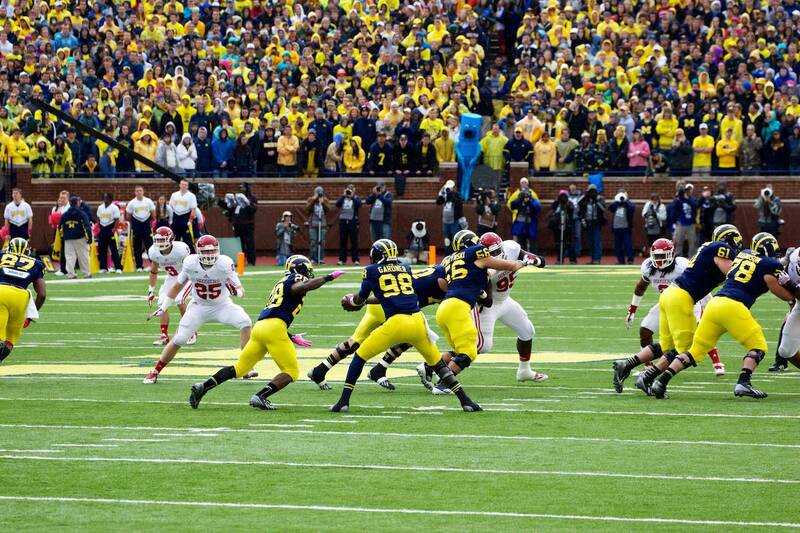 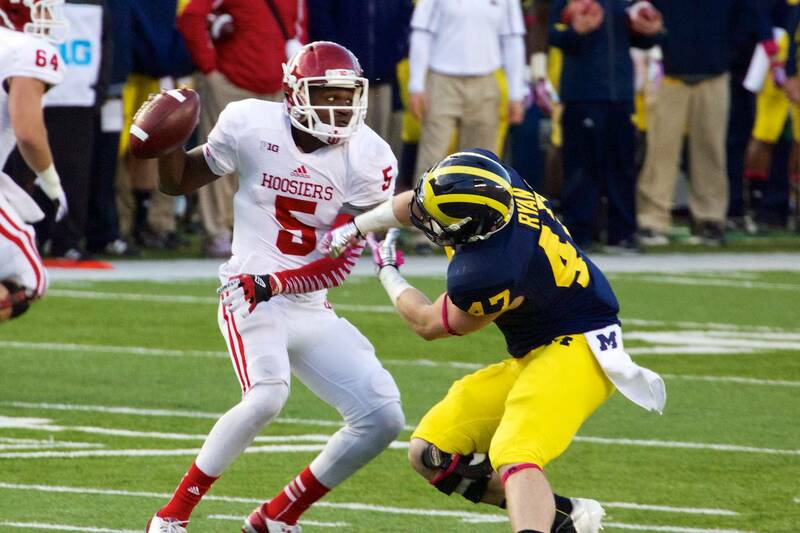 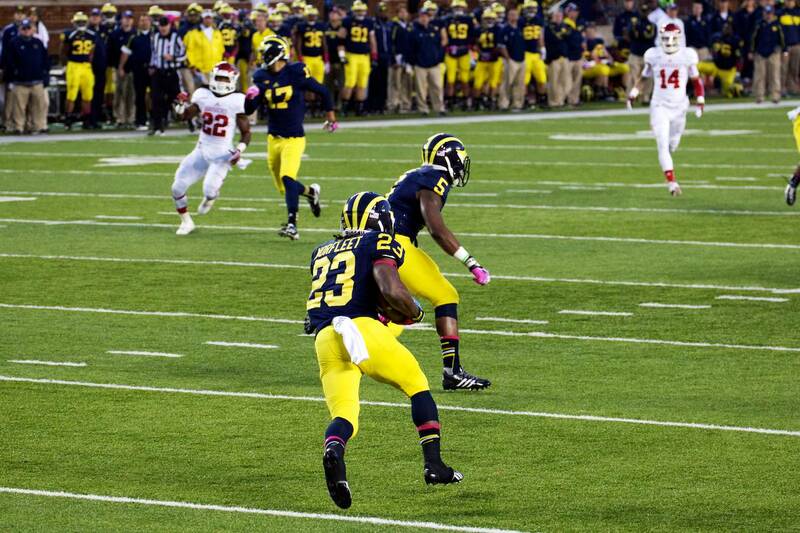 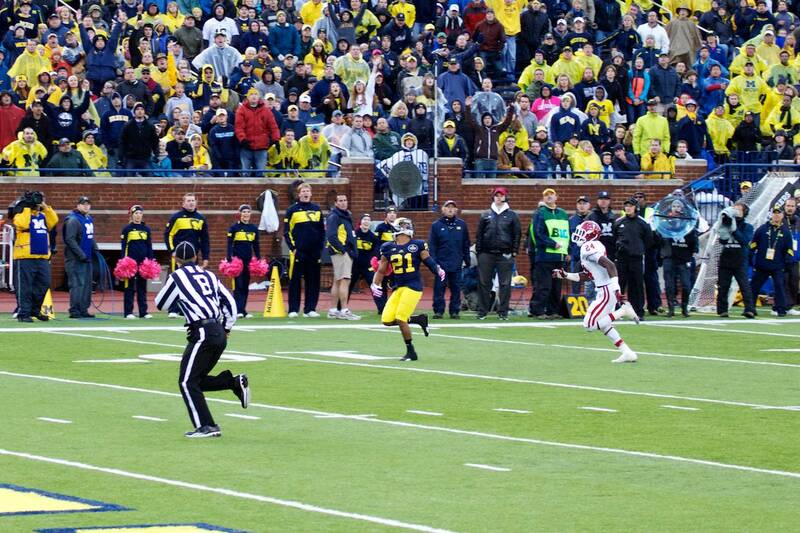 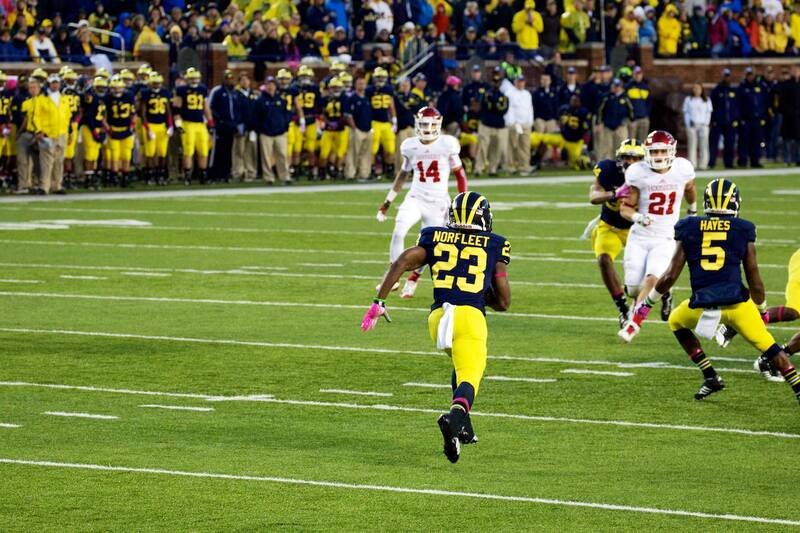 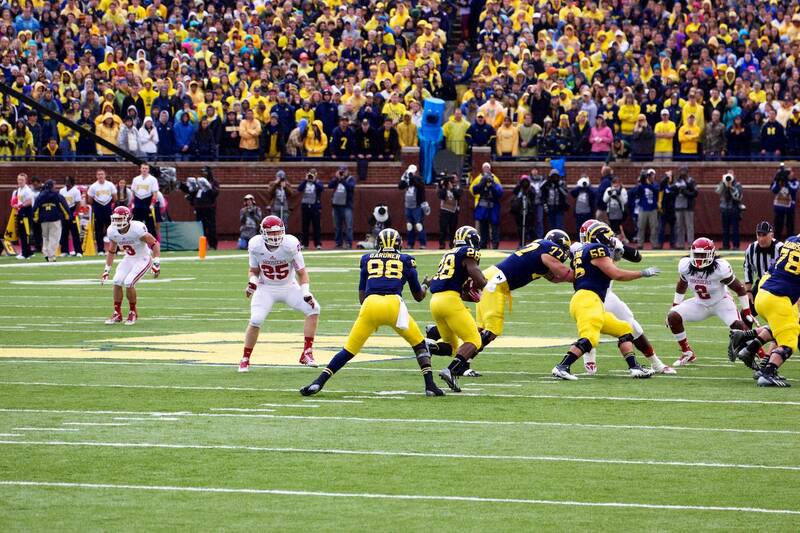 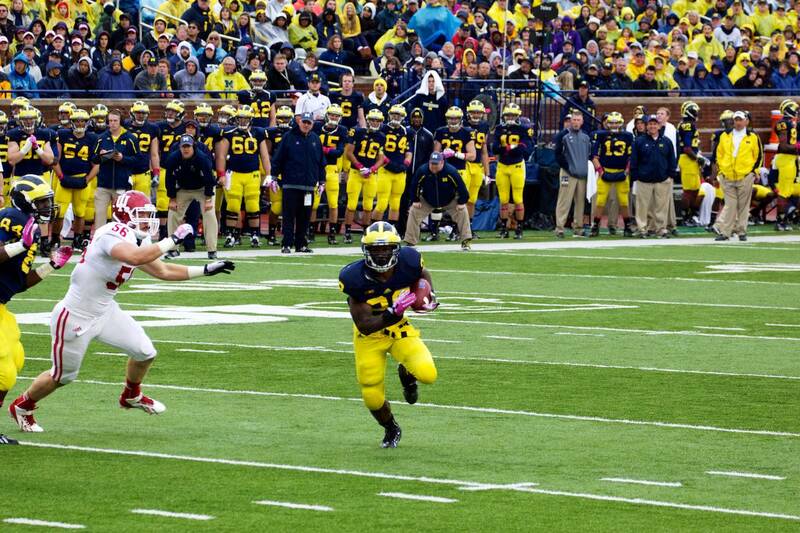 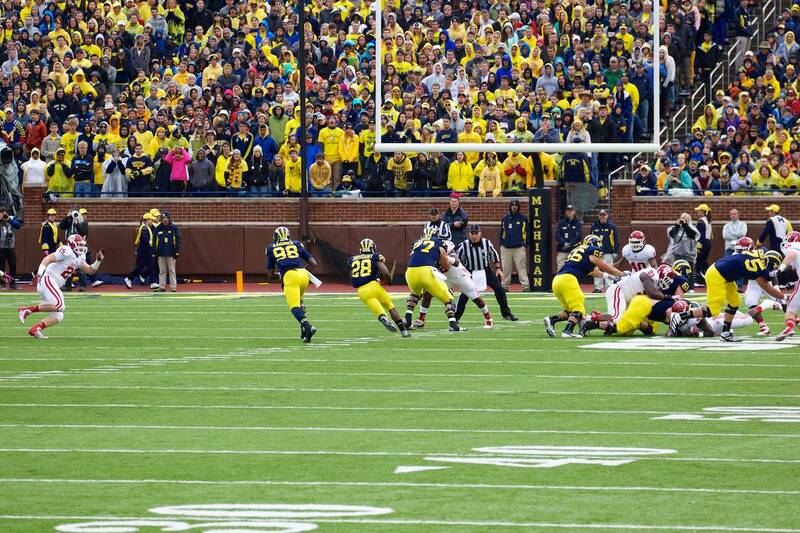 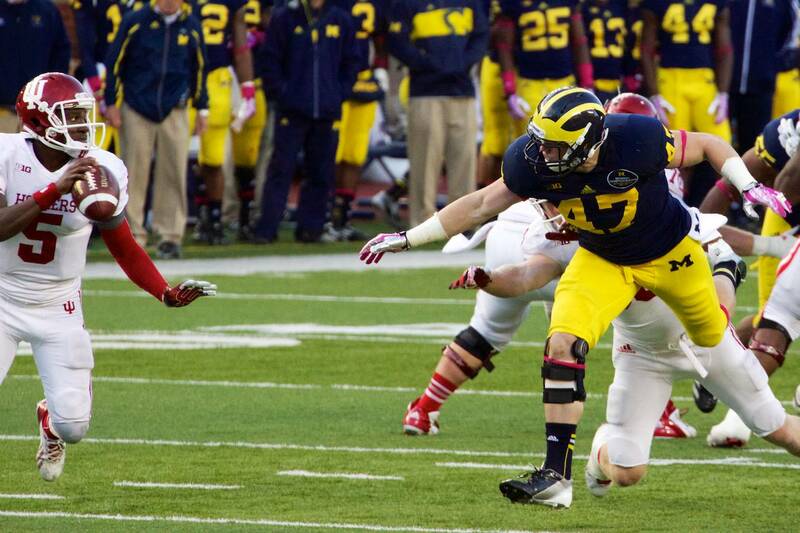 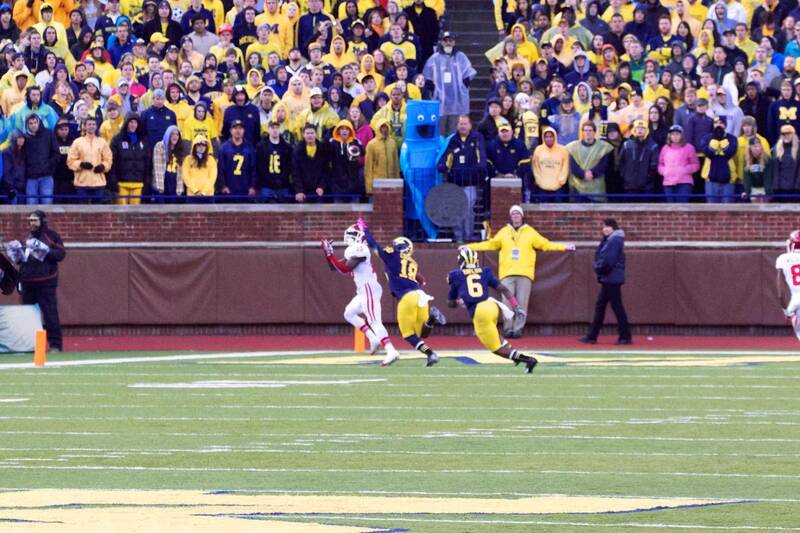 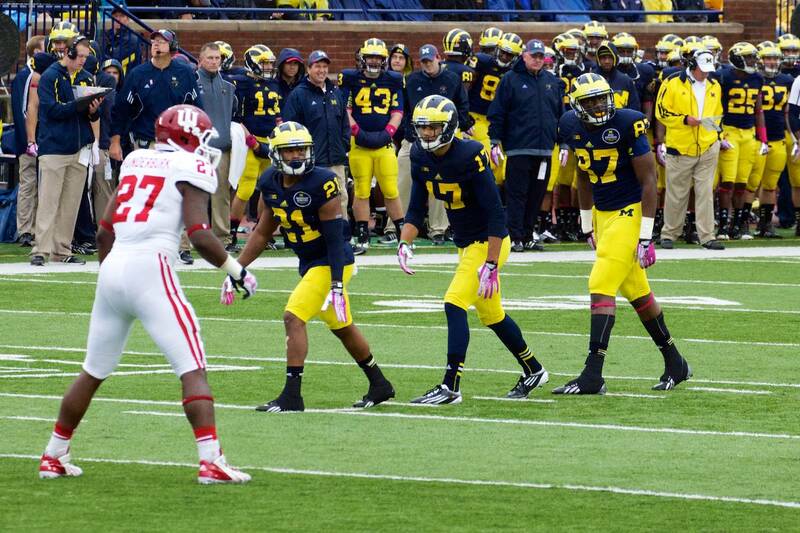 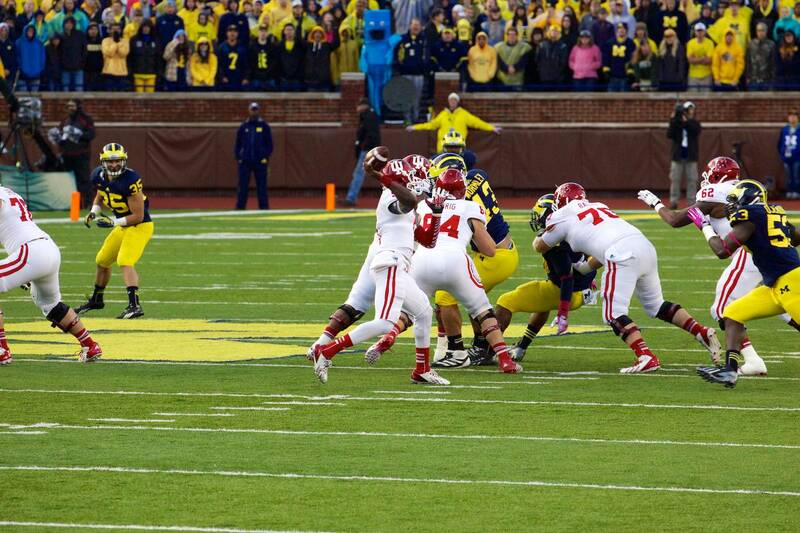 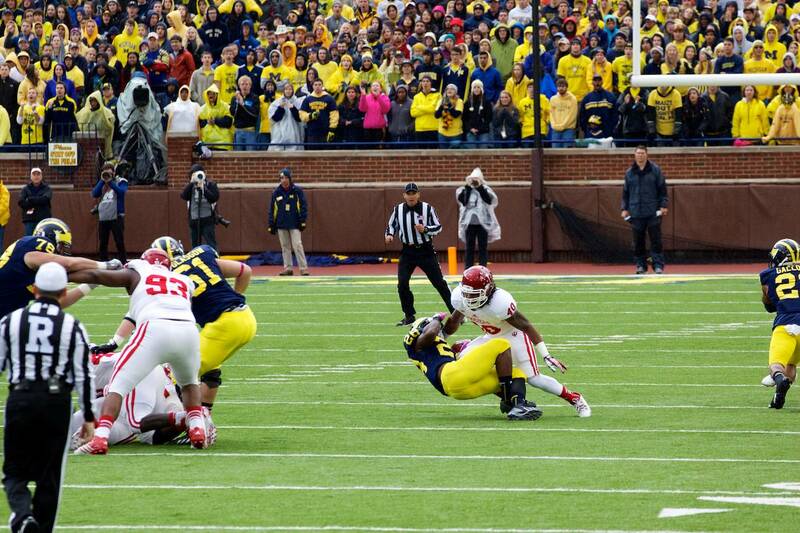 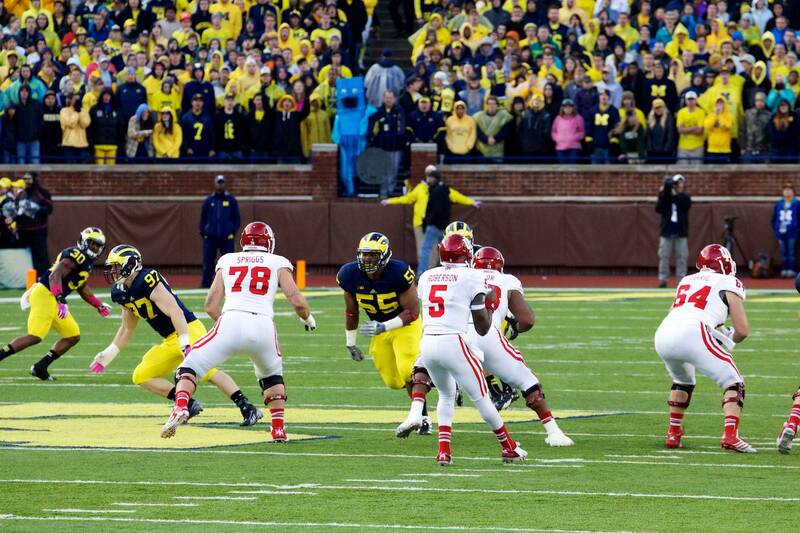 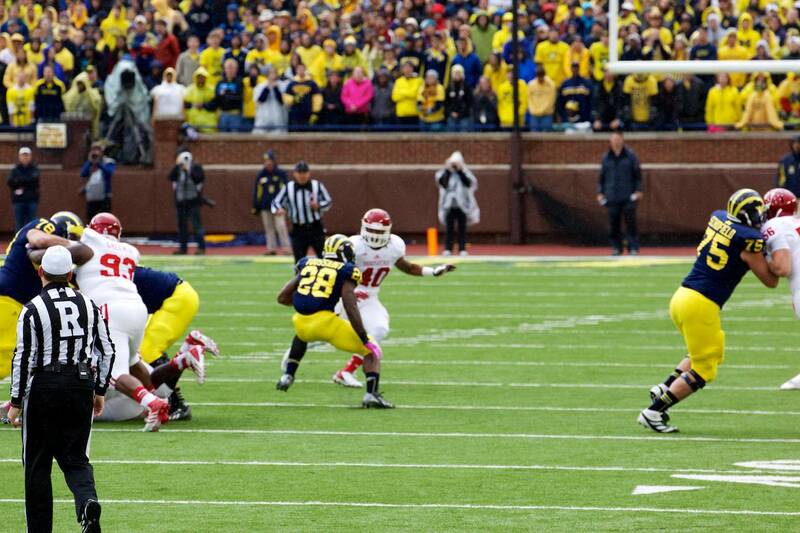 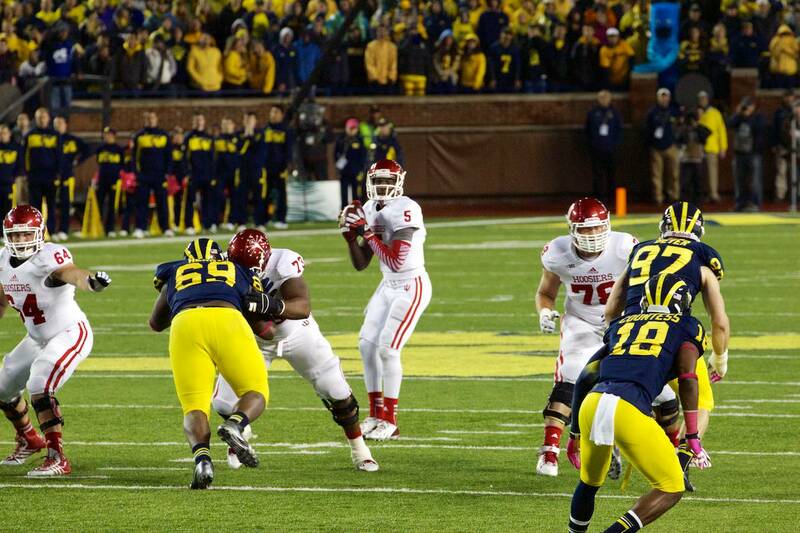 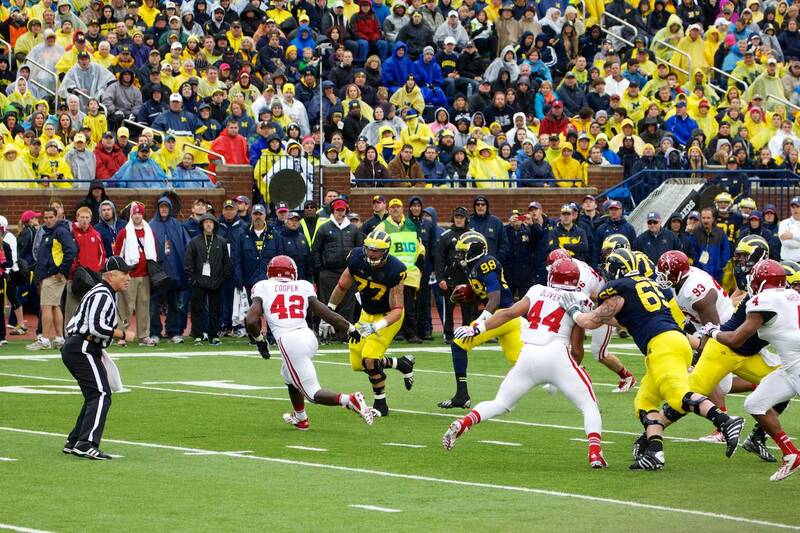 This late interception, tipped by Michigan’s Jourdyn Lewis to Thomas Gordon, helped seal the game for Michigan. 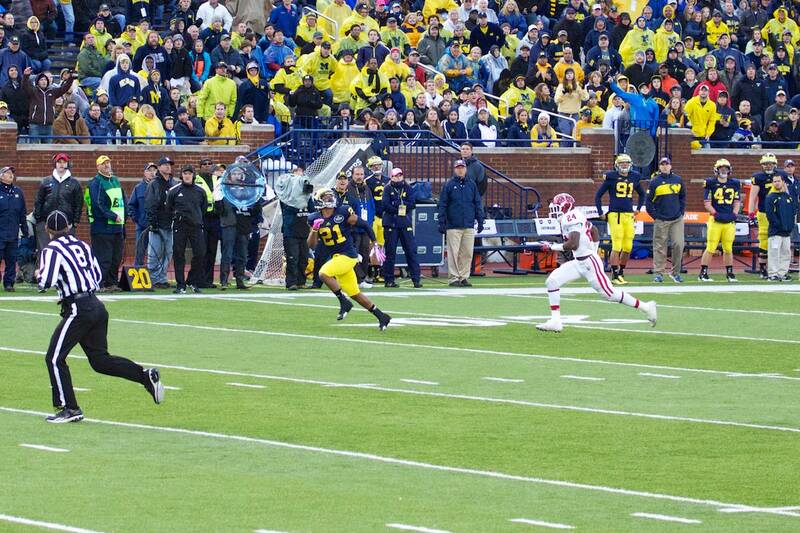 That led to this drive, closed out by this great Fitz Toussaint cutback touchdown run. 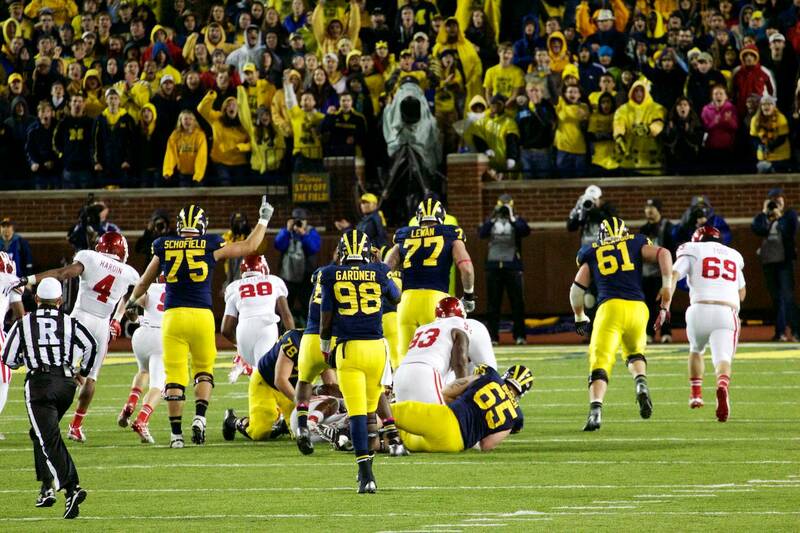 The last picture, with Michael Scholfield’s finger in the air, tells the story.